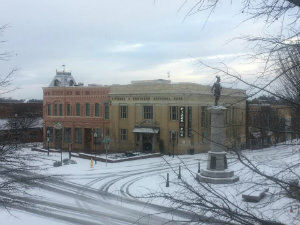 Spartanburg is the second largest city in The Upstate, behind only that of Greenville. Throughout history, Spartanburg has been home to an extensive creative community and continues to be a centerfold for many cultural events today. With eight institutions of higher learning, as well as numerous attractions and events year after year, Spartanburg provides a unique environment that consistently draws large crowds and really encompasses what the Upstate is all about. Although a city booming with creativity and culture, Spartanburg is also a very prosperous business environment. Spartanburg is full of a diverse range of industries, the most notable being the BMW Manufacturing Facility and Milliken. Other well-known companies include Advance America, Walmart, Denny’s Corporation and QS/1 Data Systems. The economy of Spartanburg greatly benefits from its business-friendly climate and within the past decade has made an effort in revitalizing its downtown scene, which is home to many of the cities festivals and events. 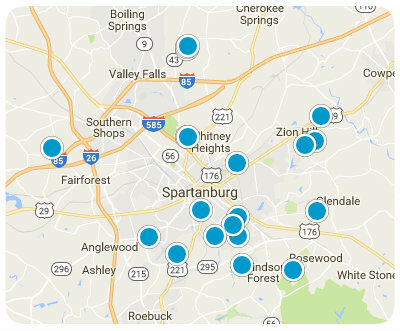 For those who call Spartanburg home, the area is also experiencing a revitalization in its real estate market. After years of a struggling housing market, the city is undergoing a vast renaissance in providing single-family homes that are very affordable. A number of new subdivisions have recently been constructed, allowing families to live in neighborhoods that include beautiful parks, gated golf communities, and are easily accessible to schools and the downtown area. When it comes to education, Spartanburg has made sure it is one of South Carolina's most impressive cities. Known as a college town, it's home to the prestigious Wofford College, widely recognized as one of the nation's best liberal arts schools. Along with this school, the area's public schools are known for providing excellent opportunities for all students. Whether it's at the elementary, middle, or high school level, parents in the city have tremendous peace of mind knowing their children are getting what many in the nation consider to be a world-class education. Whether it's attending an excellent school, working with an international company, or relaxing at such events as the Spring Fling or the Hub City Farmers' Market, there is little doubt Spartanburg finds itself as a city that does indeed sparkle and shine with friendliness and opportunity.